Are you a new business or organization looking to develop a website to get your information out to the public? Perhaps you have already have a website but feel that it is outdated or needs some modifications. That's where we come in. 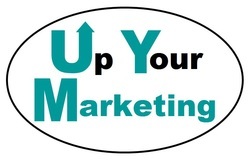 Up Your Marketing provides affordable options that allow you to improve the user's online experience without breaking the bank. From regular website pages to storefronts and forums. Let us help your company or organization build exactly what you need to keep your market interested in what you have to offer. We even assist with development and maintenance of pages on social media platforms!